Did you know unhealthy saliva can damage your teeth?? Usually, your saliva protects your teeth from attack by neutralising the acids that are produced after eating and drinking. Saliva normally provides a protective barrier against sensitivity, erosion and decay, but if your body fails to produce enough saliva, or it is poor quality, the saliva may be unable to neutralise the acids in your mouth, which left unchecked, can lead to severe dental problems and bad breath. Problems such as sensitivity, if addressed early, can usually before corrected before damage occurs. A simple, pain-free test to check your saliva, will immediately indicate if your saliva is healthy and able to adequately protect your teeth. 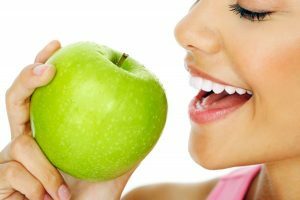 Our practice has an experienced dental nurse who has been trained in performing and analysing the results of your Dietary and Saliva tests to ascertain if the PH level of your saliva may be high or low. She can then accurately assist you in both your dietary choices and any products that will assist in neutralising your PH level. If you consider yourself to have any of the above symptoms, call us to make an appointment.